The figure below shows a principal view of the EUROTL framework. This is an ontology that serves as a hub to which more specific domain ontologies may be linked. This ontology covers highly reusable definitions such as provenance, quantities and units, temporal and spatial locations, transport networks, basic support for asset lifecycle and also main asset types and properties as needed for sharing asset lifecycle data. which are ontologies that already exist in some form and that covers specific needs for specific use cases. These ontologies are linked with the core definitions using Linking Rule Sets. 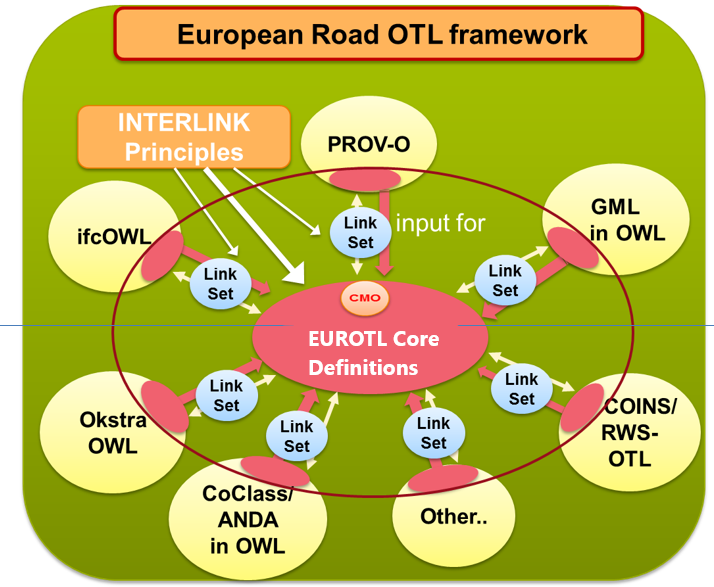 For viewing detailed information about the EUROTL Core Definitions and the domain ontologies and Linking Rule Sets, please use the viewer or consult the technical report. These are linked to in the table below. 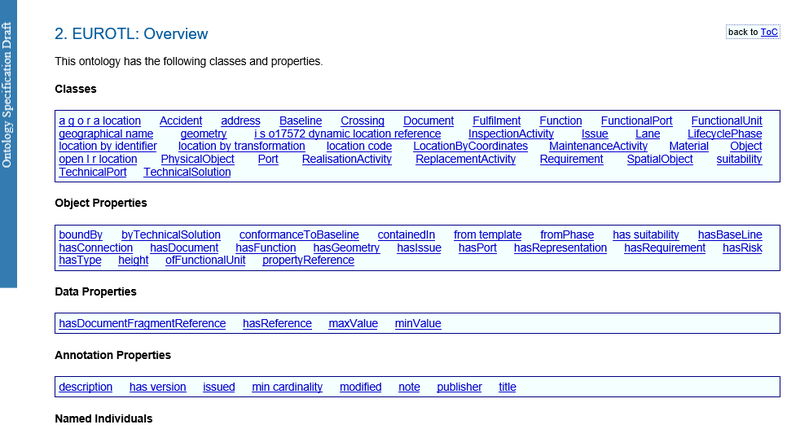 The EUROTL framework viewer displays the entire EUROTL framework. This includes the Core, the domain ontologies, and their connection established by Linking Rule Sets. The EUROTL technical report contains information solely based on the EUROTL Core. Separate technical reports are available per domain ontology and Linking Rule Set, which can be found further on on this page. 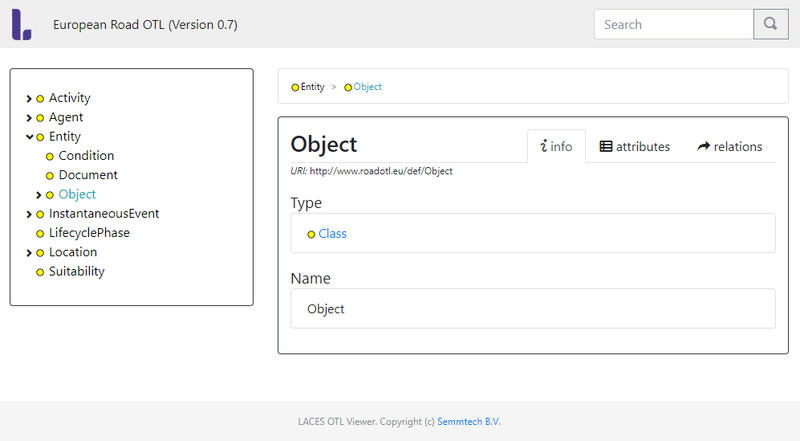 The whole framework is available for viewing in the Laces viewer here.